The Clear Creek intermediate has super fun class III and IV whitewater! This run is great for the adventurous first timers as well experienced adrenaline seekers. Come in June for high water! The Clear Creek advanced canyon is steep, beautiful and awesome! The continuous whitewater makes this one of the most action packed runs in the state! 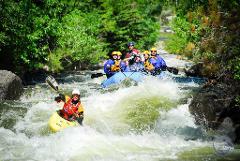 The Clear Creek Full Day in our opinion is the best class IV full day rafting trip in Colorado. Great food, great guides and great rapids! The Clear Creek Beginner is great for apprehensive first timers or children under 12. 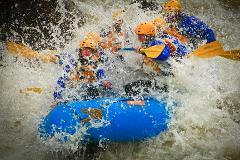 This is the most intense commercial rafting trip around! Solid class V rapids paired with breathtaking scenery makes this canyon one of Earth's very special places. 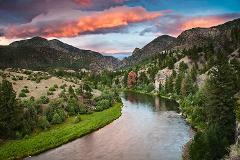 Float the beautiful lower Gore Canyon! 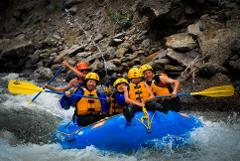 Experience wildlife, scenery, class II whitewater, a cliff jump and hotsprings! 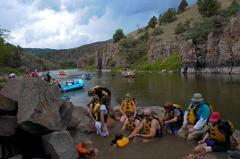 Spend a full day on the Colorado River! 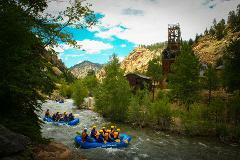 Float through the amazing Lower Gore Canyon and Redwall Canyon. Enjoy a delicious riverside lunch as well as hotsprings!